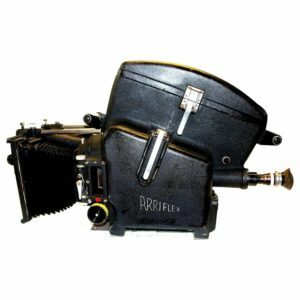 Submitted for your consideration, this 1950s Arriflex 35mm Feature Motion Picture Film Camera with the factory correct Blimp Camera Housing intact. Complete with camera, finder optics, display level lens, matte box, film magazine. 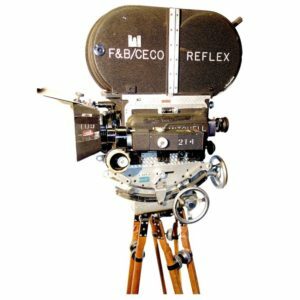 Sold for display but can be additionally serviced for filmmaking jobs. Lots of original patina. 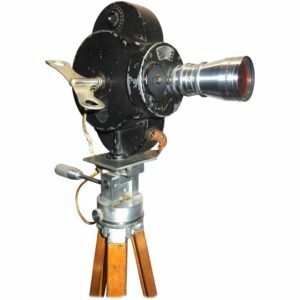 Tripod not included by many available from our collection to suit your needs and budget. NOTE: Our selling prices are usually pre discounted and intended to be at ‘Designer Net’ and ‘To The Trade’ price levels. However, we ALWAYS welcome discussions and exploration of your budgetary requirements and how we MAY be able to help meet those cost targets with additional discounts or courtesies.